Welcome to the Know Yourself podcast! I'm Dan Udale and I've struggled with anxiety and PTSD since I was 16. I'm here telling you my story because I absolutely love and am passionate about shining a light on mental resilience, mindset, and self awareness. I feel this way because of the major impact the tools I have learnt have had on my life and I want to share it to get a conversation going that can cultivate individuals understanding who they are, what their triggers are, that it is ok to feel depressed/anxious/lonely, and that you aren't alone out there! Woop woop! It’s Thursday which means a brand new podcast episode for Know Yourself 😍 In this episode I interview Sarah Rees who is a CBT therapist and author of “The CBT journal” . Sarah is an incredibly well informed individual and in my mind an expert at breaking down quite complicated narratives and ideas into easy to digest chunks. Sarah did exactly that on this podcast episode where she explains exactly what CBT is, what EMDR is, the benefits of journaling, and Sarah’s background story which is fascinating! . It’s so nice to have a a knowledge expert like Sarah on the show to be clear up some areas that I wasn’t sure of and I know a lot of others would have questions about too ☺️ Check out Sarah’s website sarahdrees.co.uk for more awesome resources! . 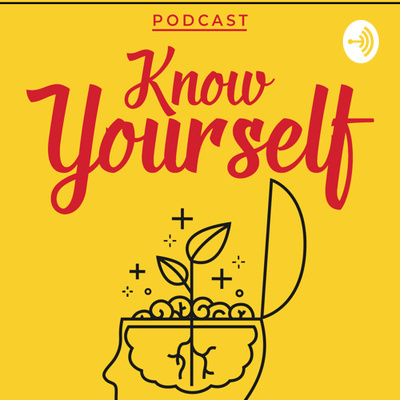 To check out Episode 78 of Know Yourself Podcast head over to anchor.fm/knowyourself - Apple Podcasts - Spotify - Google Play Music - and much more! Good evening lovely people, I’ve got some great news which is that a new shiny podcast episode is now available on Know Yourself! I loved the interview Alicia and I did together, after talking I genuinely went away and looked at my life at lot differently than I had before. I realised that authenticity is a large part of being accepting with yourself and happy with yourself. . These are lovely words but what do they mean? Alicia talks about eating candy bars in the morning, piled up clothes where the washing basket used to be, mouldy bread in the fridge. Sometimes we don’t have it all together, and that’s ok. I got such comfort out of hearing that, it’s not an excuse to brush things off, rather a way of living that accepts sometimes there are more important things and that sometimes we might not always have our stuff together! ☺️ . It’s funny because authenticity allows our true selves to shine through too, how awesome would it be for example if you met the love of your life and you could be your quirky, geeky, strange, different, and unique self with that person because you check out on judging yourself at the door.🤔 . The thing I love about Alicia is that she brings such a real world view to therapy, gives everybody a chance no matter what walk of life they come from, and is pragmatic combined with compassion. I’ll never forget the conversation I had with Alicia because it made me a better podcaster, a better person, and a more comfortable with myself 😍 . Working at a crisis centre is tough and Alicia explains some of her journey in today’s episode - check it out at anchor.fm/knowyourself - Apple Podcasts - Spotify - Google Play music - and more! Happy Monday everyone! I have some wicked news that will perk up your day, and if it doesn’t perk up then I have no doubt hearing this podcast episode will leave you humbled and inspired. . I drove out to Warwickshire to a little Village called Illmington to meet with Chris Young who is an author of a book called “Walk a mile: Tales of a wandering loon”, I was lucky enough to record the episode in his beautiful home surrounded by countryside with Sheep in the back garden. Chris also introduced me to having a cup of tea with 2 tea bags in it! . Chris above all believes that people are fundamentally good, we want to be kind to other people, we want to look out for one another. So with that ethos in mind and a passion for talking to people about his own story with mental health illness Chris set out on an epic journey to travel around the country. He would rely on the kindness of strangers to get from place to place, and met some incredible people with their own stories. Shaun Smith is an awesome guy that I met on Instagram no more than a couple of months ago. We listened to each others podcast and I was blown away by how similar we were even though our podcasts were about completely different things! After weeks of talking and getting to know each other we decided that a collaboration just had to happen between music and mental health. So Shaun and I made playlists for each other on Spotify and shared it with each other. We decided that we would have a week to listen to the playlists before recording the episode where we wouldn't have an agenda other than to talk about the music and how it spoke to us. I loved the relaxed style of this episode and I hope you love it too. I had such a great time! Ruth Fox is an author, mental health advocate and footballer. In this interview she details out her experience with mental health in college and university whilst also explaining what it was like to be in the system after being admitted to hospital. Ruth explains the inspiration behind her book which comes out later this year and tells a truly compelling story about going from wanting to take her own life, to campaigning for mental health. Know Yourself - Episode 54 - Mental Health, start the convo! I'm sick of hearing online tweets or Instagram posts of "We need to start talking about Mental health." My view is be the change you wish to see in the world and get started! In this episode I will show you how! Know Yourself - 47 Where the hell have you been? Know Yourself - 42 student? you have time! Welcome to the first ever episode of Know Yourself Q&A! We have some awesome questions from some of the followers of the podcast. Hope you enjoy! Know Yourself - 38 Stuck in a rut? Today I went over something I'm really quite invested in which is Empathy. It can be a powerful skill which can be learned! It will help you understand other people's worlds, what their problems are, and even another persons dreams or aspirations. I'm having a hard time at the moment, I've had something happen to me and it's made me question my identity and reference that I have of myself in my head. I talk through what it is like when this happens and tools and advice to help you. Welcome to the latest episode of Know Yourself which focusses a lot around a book I have just finished called "Unlimited Power" by Tony Robbins, I go into the book aswell as talking about approaching learning with an open mind, and how to find different mentors in your life. This is an interesting episode for me because it is something I still have to keep in mind and work on every day which is that no other opinion matters about myself than my own opinion. I have days when I believe that and days where I don't, what I share with you today can help break that cycle if you are still valuing others opinons above your own and I hope this helps on your journey. Latest episode of Mindfulness Mondays where I cover off some more tips and advice on how to stay mindful, I hope this delivers some real value for you. Know Yourself - 28 Motivation? I am pissed off right now! I thought to myself what better time to audit my thoughts with you guys on a podcast and give my tips ablut what to do when feelig this way! Check it out and see what you think, I give some tools on how to deal with irritation and frustration. I've been thinking a lot lately about persepctive and how we can all change the way that we tackle adversity or issues with a fresh perspective, whether it is setting a goal and executing, or even stepping out the house for the first time in days because the anxiety you have is crippling you. Take a listen and see what nuggets I can offer to help with your journey. Today has been a very special day for me. I reached out to Nic about a week ago over Instagram not even expecting a response because of the kind of influence and exposure that Nic Newling has on the mental health world. I had the absolute delight and pleasure of interviewing this wonderful person to bring you an epic conversation on mental health. I used to think that I knew everything. I thought I could predict the future of an event I was anxious about so I would leave any situation that I wasn't comfortable with. I also thought that I had learnt a lot of things and therefore didn't need go learn anything new. Find out how this held me back from understanding and knowing myself. The fear of judgement stopped me from sharing my anxiety and suicidal thoughts from my family. I had this twisted sense of pride that told me you can't share with other people because that's weak! I talk a little about this in the episode and my thoughts around sharing the weight of your emotions or anxiety with a family member or friend. Procrastination crippled my personal and professional life for a long time, like most of my life. It affected my financial, emotional, and mental wellbeing because of one thought. I can do that later. Becoming self-aware of your procrastination can be create growth, productivity, and motion towards achieving your goals. I'm starting a new weekly series on Know Yourself called Mindful Mondays. This is a more practical episode which brings focus to day-to-day life through Mindfulness. Here I share tips that I have used to stay Mindful when in anxious states. Resentment is a topic that I haven't really covered off before on the podcast, it's something that can be all consuming and is something I have held onto before I really started grow. Letting go of resentment in my life brought me more valuable and meaningful relationships and can do the same for you too! You might have started doing some stuff for yourself, you're seeing a little change or nothing at all. You're thinking to yourself, man this is tough. Welcome to the game, is what I say. Changing yourself, or developing yourself is difficult, it takes courage, discipline, grit, and hope. In today's podcast, I talk about what to expect when improving yourself, and some strategy ways of thinking to get you in the zone. I attended the Crushing It! book launch event hosted by Gary Vee and the Gary Vee team on 08/03/2018 and let me tell you it was phenomenal. Meeting Gary and all of the different people that day was an absolute pleasure and I honestly just had one of the best days. I met some likeminded people like Akmal and Pedro. We got talking and it was getting real deep so I started recording so we didn't lose this epic conversation about immigration, the education system in our country, what drew Akmal & Pedro towards Gary Vee? You'll love this quick fireside because I know I did. In today's podcast I talk about about self-maintenance and looking after yourself so that you don't burn out. When was the last time you sat and watched a film - not to procrastinate but to let your brain switch off from the day a little bit. I talk about my own experience at the moment and what I'm doing to sort it out. I'm today's episode I talk about ownership where I really take a deep into taking responsibility for your own thoughts and feelings. Sounds ridiculous right? How can I take ownership of my thoughts and feelings? Hear me out. I go over habit 1 of Stephen Covey's book the 7 habits of highly effective people which is called Proactive and it really changed a lot of things for me. In this podcast I go over a topic that has been in my head for the last week or so which is validation. Do you tie your self-worth to what others think about you, or what you think about you? I go over this and the evolution of anxiety, being out control, in control, and being proactive against your anxiety. Gratitude is an interesting topic that I've only discovered recently, the practice of it can cultivate focus and more meaningful relationships in life. Check this episode out to see what gratitude can do for your life. I got deep and emotional in this episode to talk about asking for help. I never asked for help out of a sense of pride and it cost me a lot of things, and nearly my life. I didn't think I was worth saving, didn't think anyone would understand, that there was even anything that could be done. I had a conversation with my dad that changed my life. I explore asking for help in this podcast to provide some real value to anyone struggling. This episode talks about fear. I didn't understand this emotion for a long time, and is something that I felt like haunted me every day in my early adulthood. I read a book recently called feel the fear and do it anyway and knew that it's contents would help a lot of you that have struggled with fear too. This episode kinda picks up where we left off with Selfworth and covers what it takes to make a habit and what it can do for your life. This levelling up brings confidence that can be transforming. I cover off an important topic which is self worth. When something has taken away the confidence you once had it can be struggle even getting up in the morning, I go through something that has helped me which is to build on my self worth.